Caption slip reads: "Photographer: Lapp. Date: 1953-05-04. Reporter: Markson. Assignment: Feature, Mon. May 11. 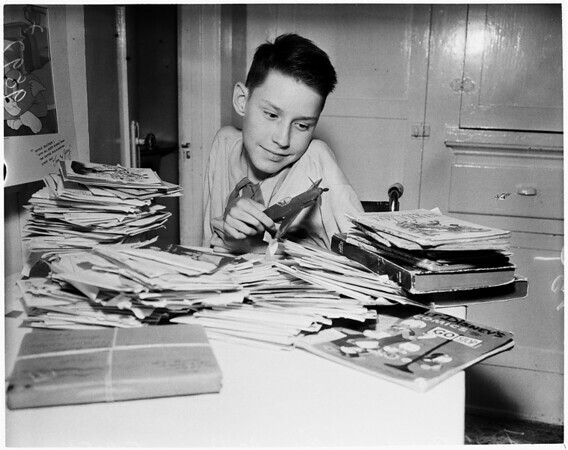 44-43-14-13: Fred 'Pepper' Blethen, Jr. 13, victim of muscular dystrophy, gets hundred of letters. (For Monday)."